Jonathan Pompan - For the Industry. By the Industry. 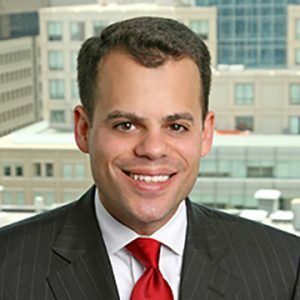 Jonathan Pompan, a partner in the Washington, DC office, is co-chair of the firm’s Consumer Financial Services Practice Group and Consumer Financial Protection Bureau (“CFPB”) Task Force. His practice focuses on providing comprehensive legal advice and regulatory advocacy to a broad spectrum of clients, such as nonbank financial products and services providers, advertisers and marketers, and trade and professional associations, before the CFPB, the Federal Trade Commission (“FTC”), state Attorneys General, and regulatory agencies. At a time when government consumer protection agencies are stepping up their scrutiny, Jonathan develops strong and lasting relationships with clients by understanding their business objectives, helping them to recognize opportunities, and avoid legal pitfalls. Jonathan is a frequent speaker and author on legal and regulatory issues of significance to providers of consumer financial products and services, advertisers and marketers, and nonprofit organizations.